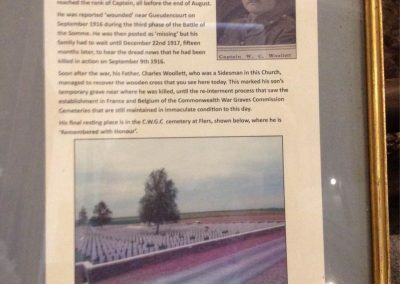 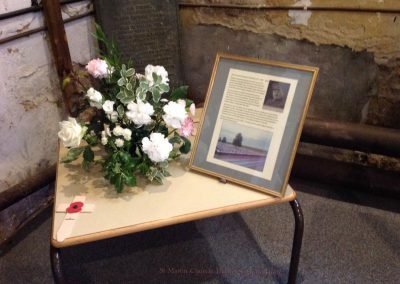 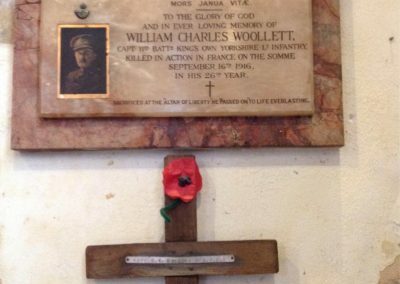 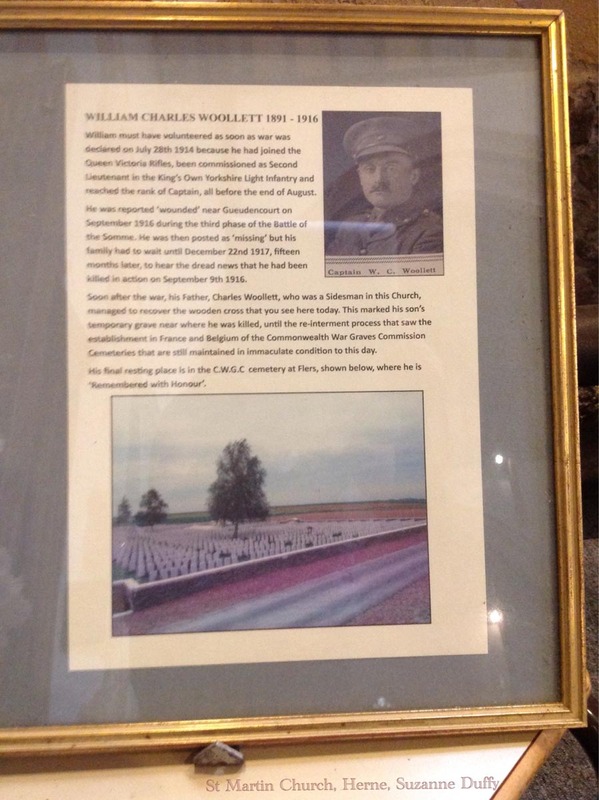 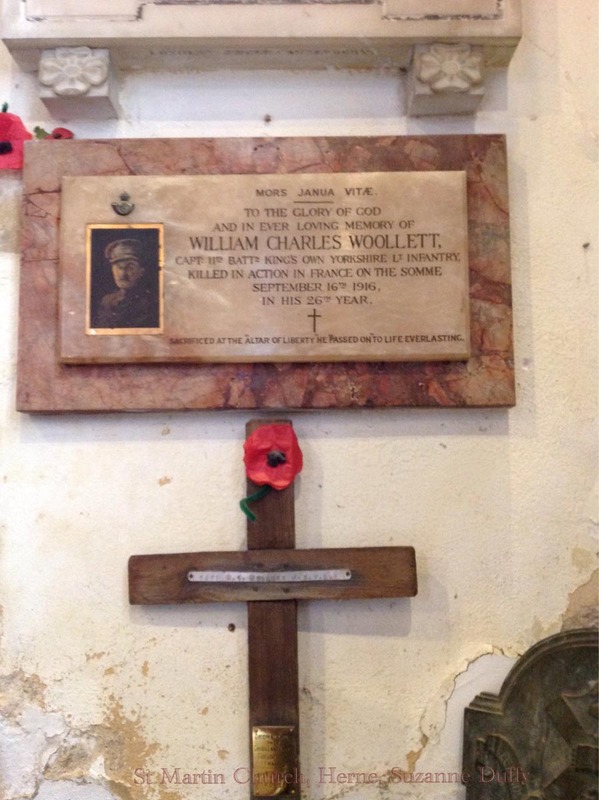 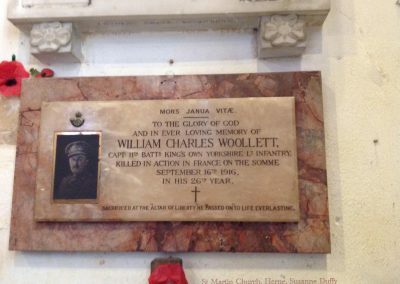 There was also a table with flowers, a photo and information about Capt Woollett. 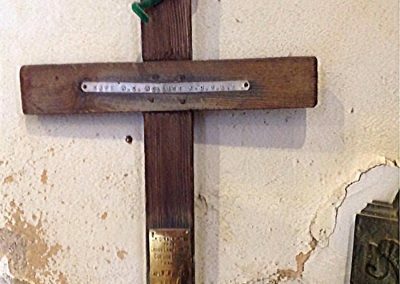 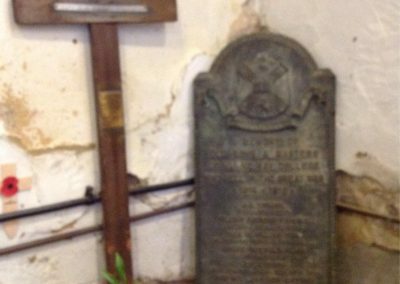 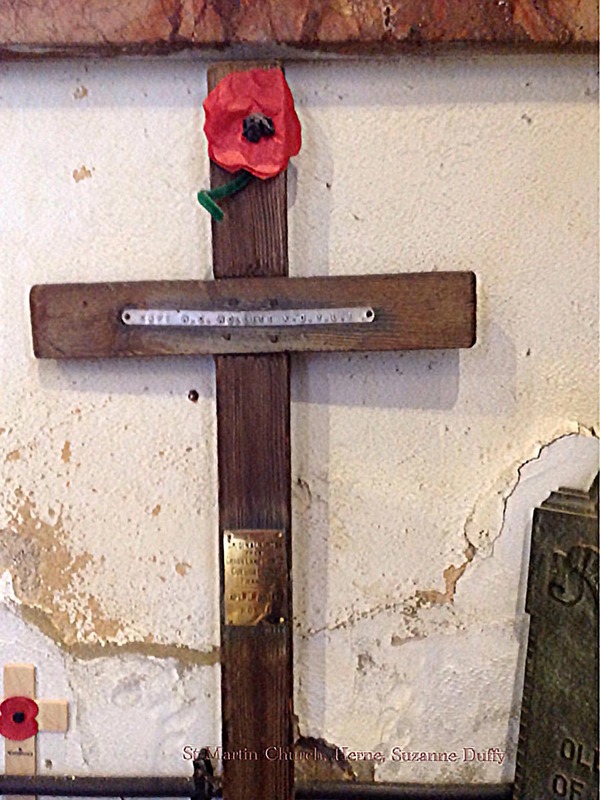 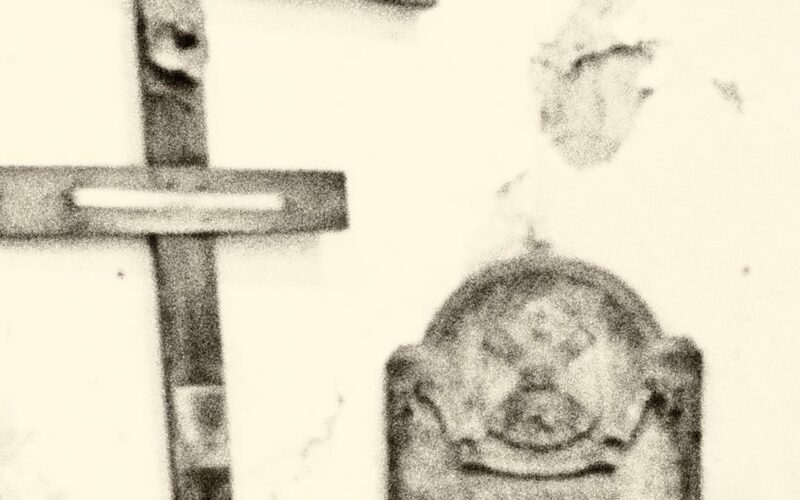 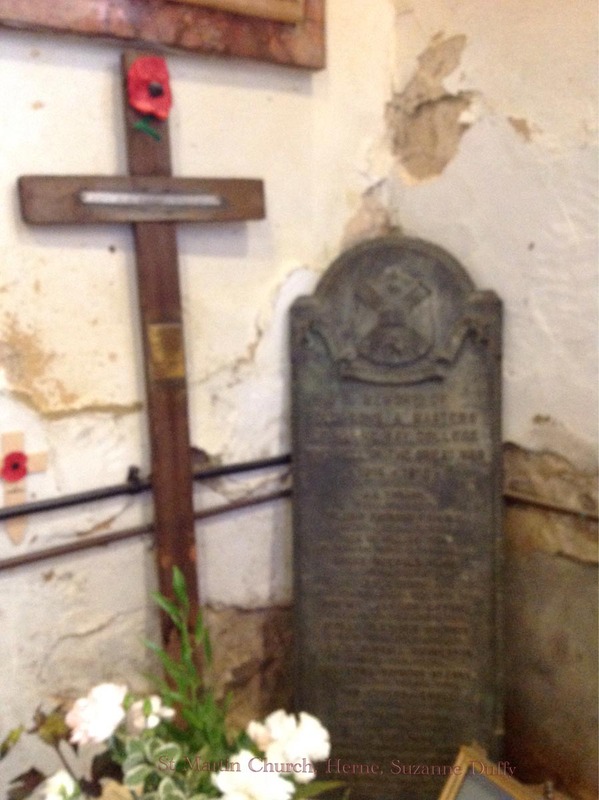 His father was a sidesman at St Martin Church, Herne, and he recovered the cross from the grave to bring it to the Church. 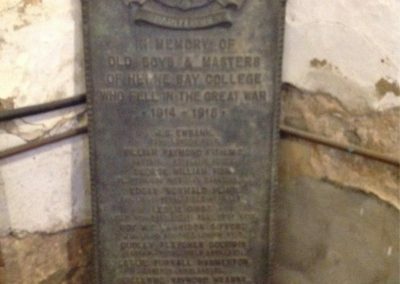 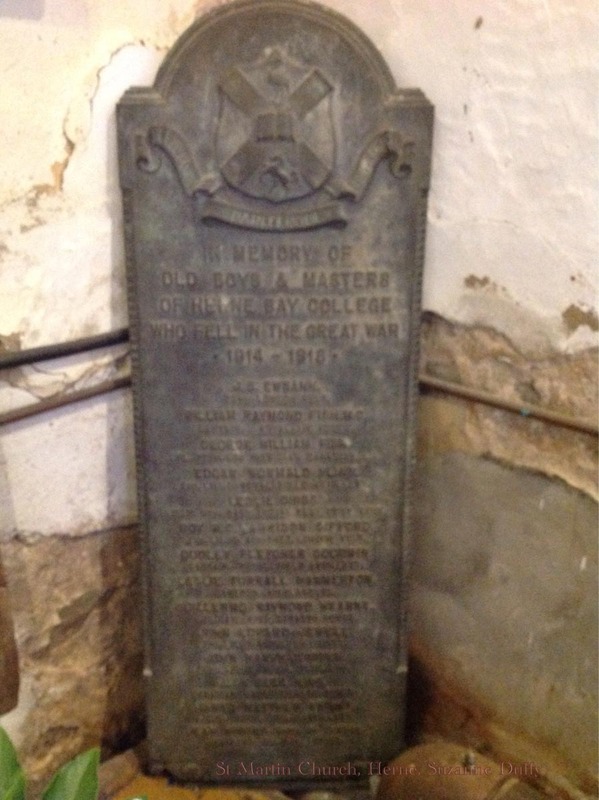 In the same area of the church is a memorial plaque to the memory of the old boys and masters of Herne College, who fell in the Great War.